If you need a roof inspection in Beaverton, West Coast Roofing is the company you can trust to provide a top quality Beaverton roof inspection. In Beaverton, regular roof inspections are vitally important to protecting your home from the weather in the Pacific Northwest. A proper roof inspection will help you evaluate the overall condition of the roof and help you identify leaks and potential leaks before they cause damage to your Beaverton home. 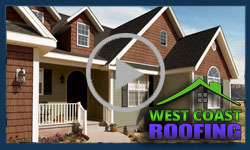 West Coast Roofing is committed to providing you with an exceptional Beaverton roof inspection. Rest assured, we will thoroughly examine the entire surface of your roof. If we discover small problems, we can often make those minor repairs at the same time as your Beaverton roof inspection. For larger problems, we’ll leave you with a full understanding of the work required and a detailed estimate of the cost of those repairs.